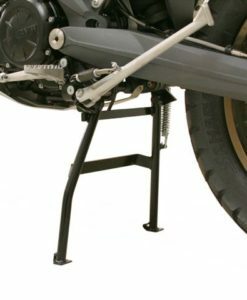 A Center Stand is the must-have accessory for adventure-touring. 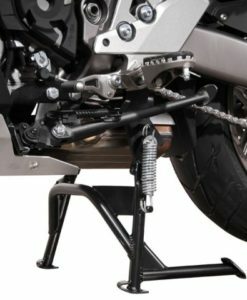 On any motorcycle, stable positioning makes it far easier (and safer) to pack your bike, perform maintenance, chain adjustments, oil changes and last but not least fixing those ill-timed flat tyres. 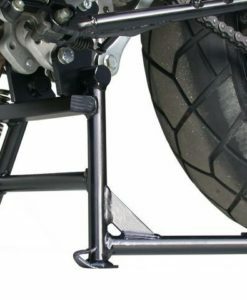 In the field, it’s no easy task to pull either the front or rear wheel off or adjust the chain without some kind of centre stabilization. 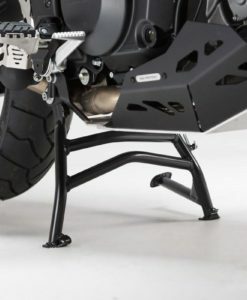 Perfect integration with the exhaust, skid plate and side stand. 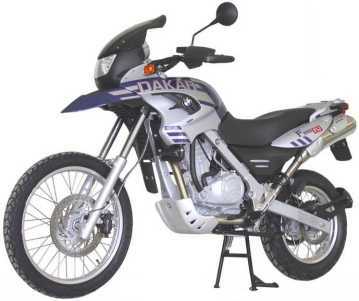 Designed with German precision – ground clearance and cornering ability is maintained. 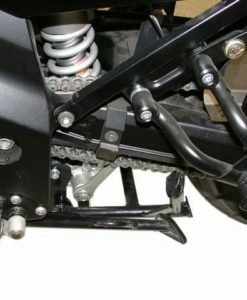 A double-retention spring is included as a safety feature. 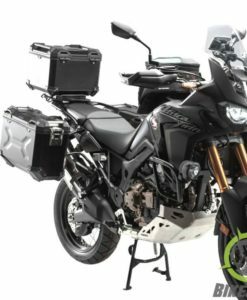 Full European ABE safety certification. 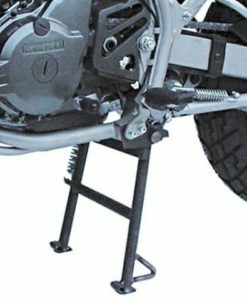 Welded construction resists the stresses of everyday use. 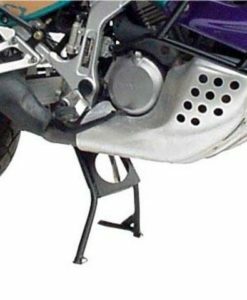 Powder coated to a rich lustre for additional protection. 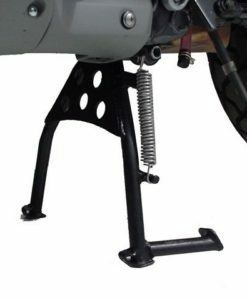 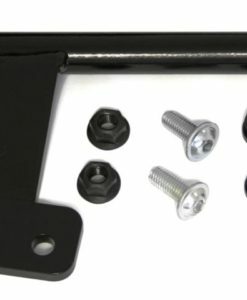 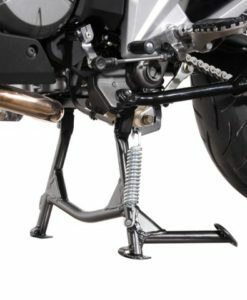 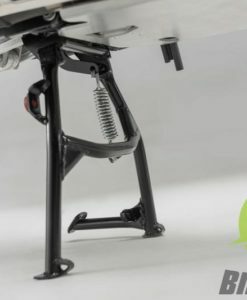 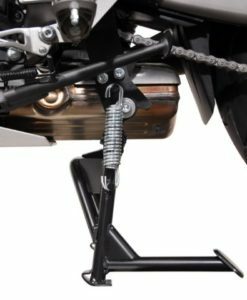 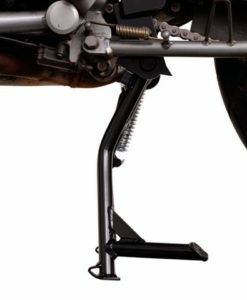 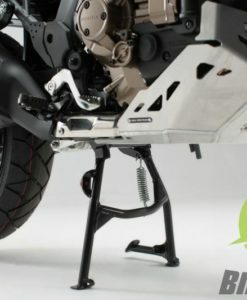 Hassle free direct bolt-on mounting of centerstand. 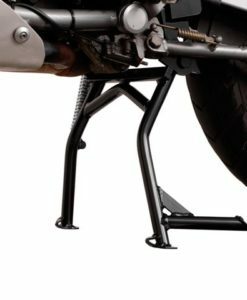 No welding, cutting, or drilling of existing frame or body parts. 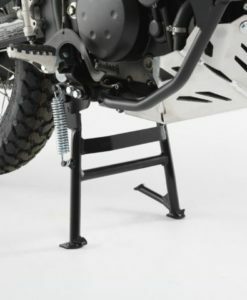 All hardware needed to mount the center stand is included. 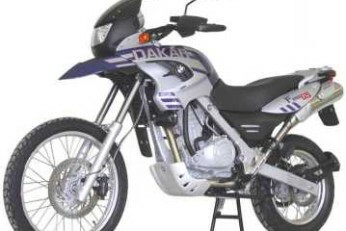 Without a SW-Motech center stand this Dakar would probably still be stuck with its chain off the rear sprocket. 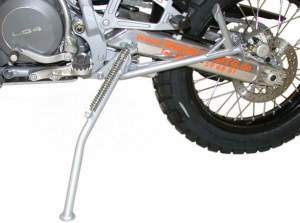 KTM LC4 and LC 4 Adventure side stand. 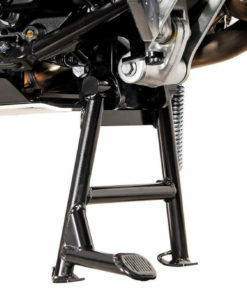 The only side stand on the market designed to retain full use of the original factory center stand while adding the convenience of an auxiliary side stand. 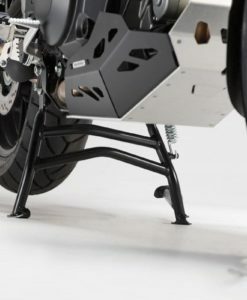 The SW-MOTECH center stand for your BMW G310R increases the versatility of your machine for more secure parking on various terrain while enhancing ease of maintenance without the need for a paddock stand. 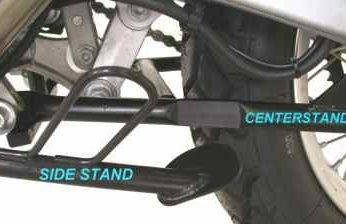 This German engineered center-stand eases maintenance, tyre changes and puncture repair. 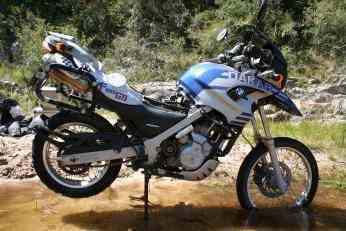 Suitable for South African off road conditions. 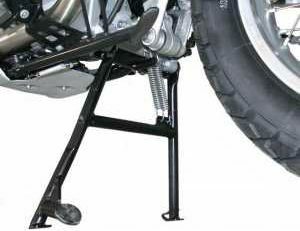 SW-MOTECH Centerstand greatly eases basic chain maintenance, tyre changes, parking, and bike cleaning. 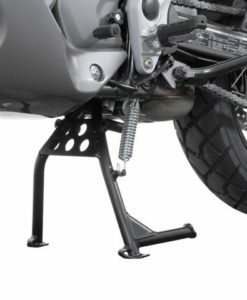 A German engineered Center-stand to assist with maintenance,  tyre changing or puncture repair. 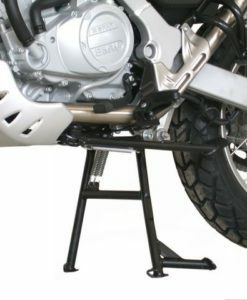 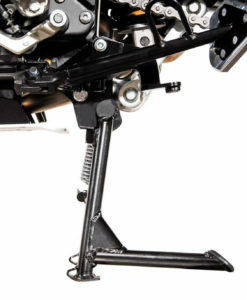 A SW-MOTECH Center- stand is the must-have accessory for servicing and repairing your Honda NC. 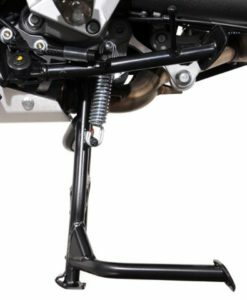 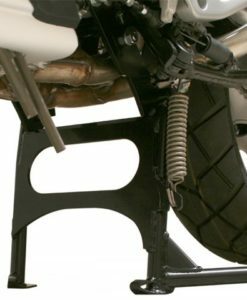 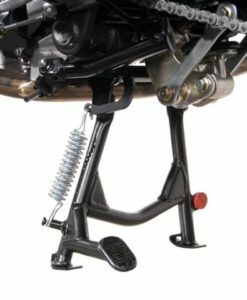 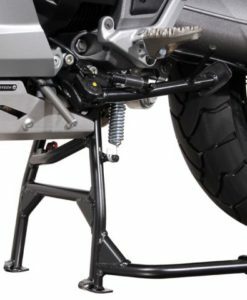 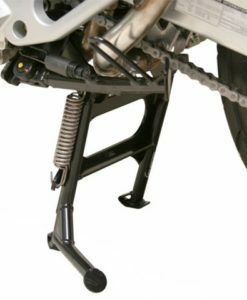 SW-MOTECH Center-stand provides optimal ground clearance and side stand integration. 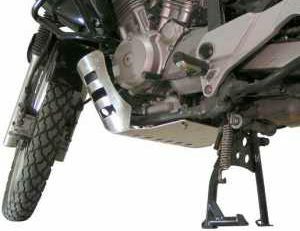 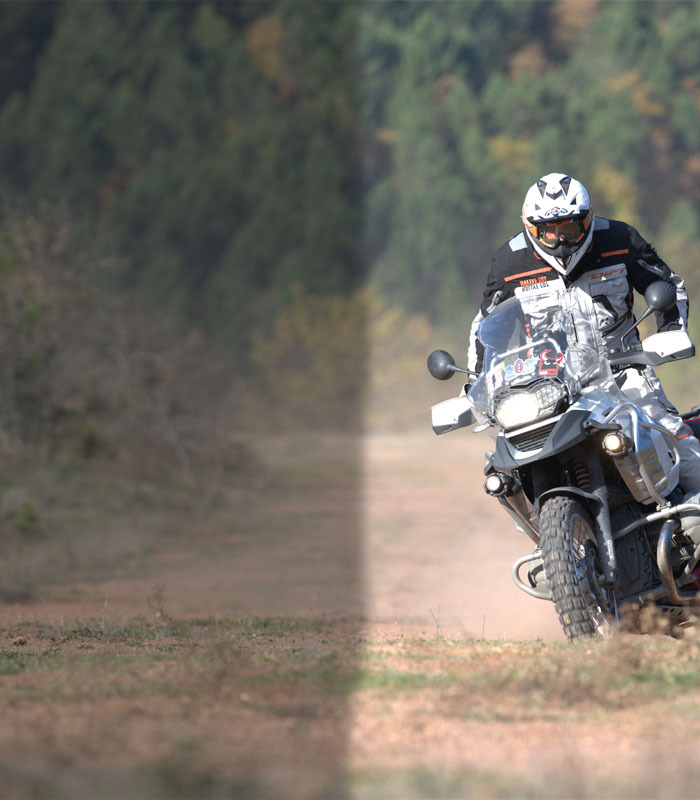 A Centerstand is an essential accessory for the Honda Africa Twin CRF1000L; particularly in tough South African conditions. 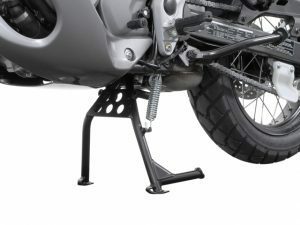 A SW-Motech Center-stand makes it far easier and safer to park your bike, perform maintenance such as oil changes  as well as repair punctures.. 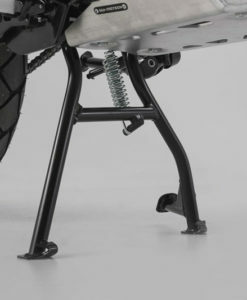 Assists in secure parking on various terrain & eases servicing especially for puncture repairs/chain maintenance. A SW-Motech Center-stand is an absolute MUST for touring both on and off-road. 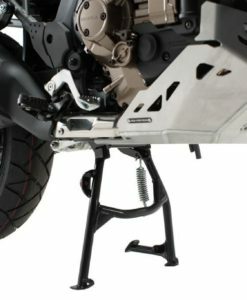 SW-MOTECH Kawasaki Versys 1000 Center-stand is the must-have accessory for sport-touring! 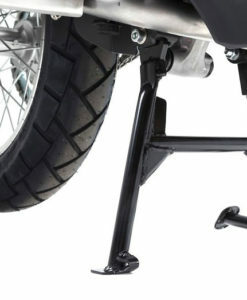 A motorcycle center-stand accessory aids bike maintenance and puncture repair. 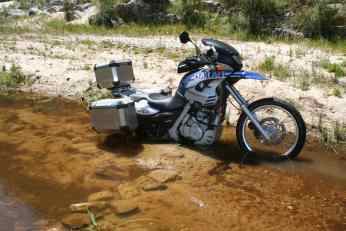 German engineering for South African conditions. 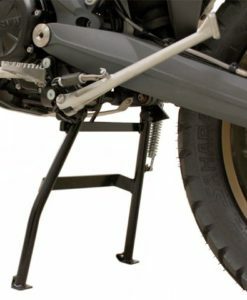 SW-MOTECH Adventure Centerstand greatly eases basic chain maintenance, tyre changes, parking, and bike cleaning. 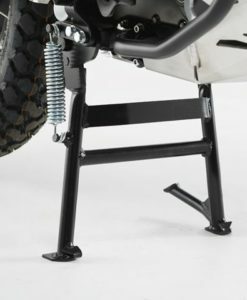 The must-have accessory for sport-touring! 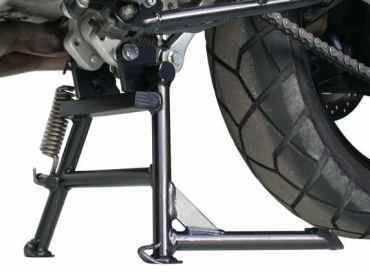 Greatly eases basic chain maintenance, tire changes, parking, and bike cleaning.